It's true that much of our social interaction takes place online these days. This is more often than not via websites or applications that other people have produced for us, Facebook being the most prominent. 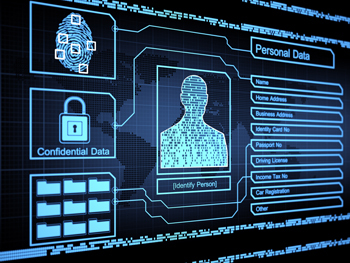 Data privacy laws and personal practise is perhaps playing something of a catch-up game. For all the talk of big corporations in the digital sphere playing fast and loose with our data, and we should be mindful of their activities, it isn't the wild west that many talk about, well for the most part it isn't anyway. There have been some high profile data breaches that get a lot of publicity, but this isn't the norm.The big corporations like Facebook, Microsoft and Google have very secure network infrastructure with a layered approach to data security. Don't get me wrong, they are clearly in business to make money from the services they provide to us, and to third parties who pay to get in on their customer base, but this isn't the wild west. The latest data privacy story in the news involves Facebook and a data analytics company, Cambridge Analytica. The basic story is that a young tech savvy data genius at Cambridge Analytica was able to get data on 50 million Facebook users and profile them based on their preferences to like various types of Posts. The legality of accessing the data of Facebook user profiles in the way it was done is being investigated. The ethics of it is currently being promoted as very bad, and some high profile media people have said they've closed down their Facebook accounts after realising quite how much data they have on them. What's perhaps most interesting here though is the way that many who applauded the use of Big Data sets to profile and target voters in the election that saw Barack Obama win, have now become somewhat more antagonistic to the use of Big Data sets to profile and target voters in the run-up to the election of Donald Trump and the Brexit side win in the EU referendum in the UK. Have the data sets changed, has something different happened in profiling and targeting voters in the last few years? On the face of it, not much has changed in the process, and it's the political views of the winning side that's changed. Supporters of Obama who were in favour of data mining techniques and subsequent social media campaigns, argued in the wake of the Arab Spring that they were levelling the democratic playing field from corporate and staid politics of recent times. I think this focus on IT as the harbinger of democracy and/or the reason for it being undermined, shares a common thread of downplaying the importance of political discussion and winning argument about things that matter. The notion that some adverts on people's Facebook walls is what wins elections shows what little faith in the electorate, or the power of their own arguments, many in the media and today's political parties have. For one thing, to think a technical whiz kid can successfully ascertain political convictions of people through their Facebook profile is somewhat an exaggeration. To think that some Facebook adverts is going to convince Facebook users of how to vote really does take the biscuit in condescending the electorate. Why wouldn't people who argue such things, not just do it themselves and win election after election? Because the world of politics isn't so fickle and the electorate have more substance about them, and can actually think for themselves. It really does come across as sour grapes. As for real threats coming from our data being held by third parties, including giant corporations, yes, there is a real threat, especially in that data being allowed to leak and used against us. There are some very serious protections in place to protect such data sets and these should be reviewed by the body politic. Perhaps, rather than decry the feebleness of the electorate in not being able to think for ourselves, we should be looking for the IT industry to help us have better software and privacy tools.